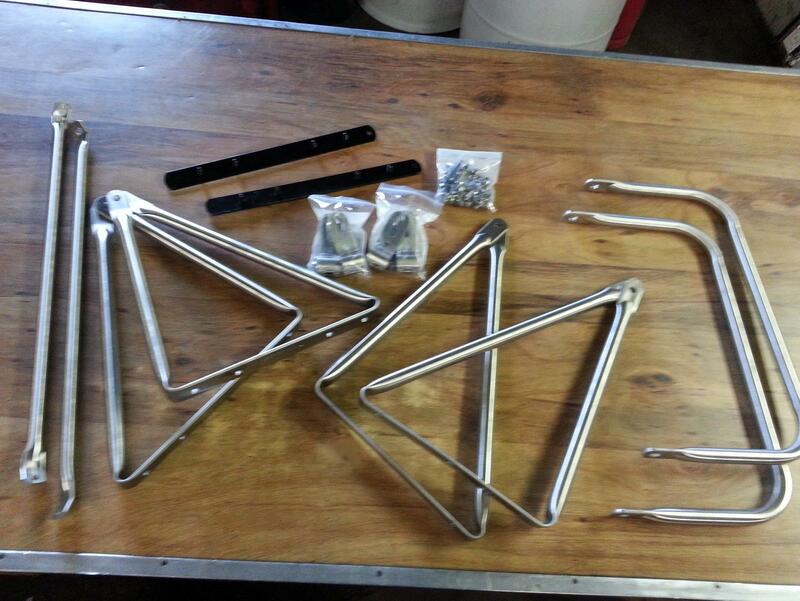 Hey guys, I am happy to announce that we have Stainless Steel B-Model Arm Sets back in stock! We had them made right here in the USA! They are exactly like the Delbar brackets with the curved upper hole pattern to fit the B cab doors! You won't be disappointed! Price is $600 per set and includes left and right brackets plus mounting hardware! Mirror heads are separate. Nice, just in time for Christmas. They are nice! I think they are a little heavier than the old Delbar brackets! Yeah, it's been probably 2 or 3 years since they were available from the store so there should be some folks needing them.